The Stanford Model United Nations Conference is the Bay Area's premier conference for high school students. 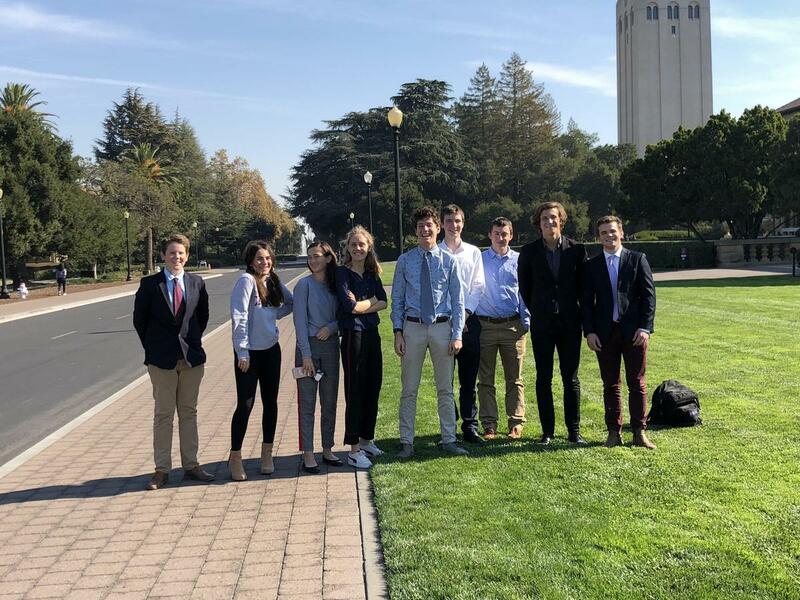 Hosted by the Society for International Affairs at Stanford, a Stanford University student group, SMUNC is an opportunity for high school students to gain valuable debate, negotiation and public speaking skills while learning about international affairs and global issues. This year, two Bay students were recognized with "best delegate" honors at the November conference--Arlo Halpern '19 and Jamie Corbus '19. The Stanford Model UN Conference was hosted on the Stanford campus in Palo Alto. Over the course of three days, nine Bay students debated and made solutions on issues ranging from the education of women in South America to the 15th Century Italian League. The conference included sixteen committees in thirteen areas with 100 Stanford student staff members and 650 high school delegates. 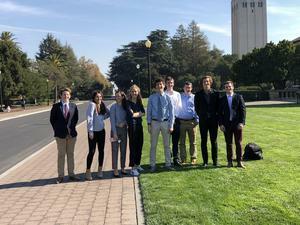 Congratulations to all of the Bay team members who participated in the Stanford conference--Trae Sebastian '19, Ali LaGuardia '20, Tom Slavonia '20, Nínive Calegari '22, Cole Lewis '22, Mitra Manshouri '22, and Thomas Price '22--and to all the students on the team this year. A special thanks to Bay's Model UN faculty leaders Robin Workman and Craig Miller for their dedicated work with students and to Stanford's student leaders for organizing a spectacular learning opportunity for high school students.